A Purpose-Driven(r) Discipleship Resource Discover the key that can strengthen beliefs to change behavior lessen your day-to-day stress level increase your security in an insecure world help you raise your kids with a right perspective on life increase your love for and trust in God Many Christians today live their lives, plan their schedules, and use their resources completely disconnected from what they say they believe. This spiritual disconnect is the cause of so much of the stress and problems in our lives. 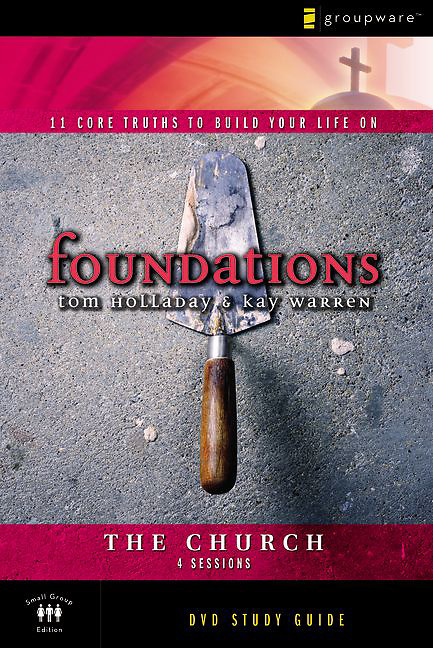 Foundations is a fresh, innovative curriculum about the essential truths of the Christian faith and how these truths are to be lived out in your relationships, your character, and your work. Rather than just teaching doctrinal knowledge, this course shows you how to apply biblical truths and implement them in your everyday life. 1. The Bible 2. God 3. Jesus 4. The Holy Spirit 5. Creation 6. Salvation 7. Sanctification 8. Good and Evil 9. The Afterlife 10. The Church 11. The Second Coming"